Are you interested in giving your children the best possible start while making friends and creating your family’s social network through playgroup? Do you want access to nearly 800 playgroups offering nearly 1000 playgroup sessions each week? Is your organisation looking to join forces with Playgroup NSW, get insurance and receive promotion and referrals? 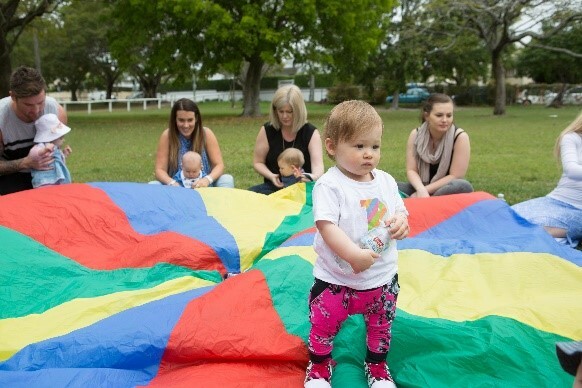 By becoming a member of Playgroup NSW, your family or your organisation will become part of our trusted and established social network which has been a fixture of the community for over 45 years. Playgroup NSW offers family membership and organisational membership. A range of special offers with our partners, including discounts to entertainment & events for families with young children. Freebies, 2 for 1’s & 50% off kids activities with Small Ideas NSW. Enjoy a 6 Month Free Digital Membership. To join Small Ideas (NSW) log on to the member’s area. 15 percent off Australian Red Cross First Aid training courses for all adults included in your family membership as well as 10 percent off two selected First Aid Kits. Subscription to our monthly eNewsletter which includes competitions for members only to win free products and event tickets. All Playgroup NSW 's members can enjoy a 12.5% Lah-Lah’s Big Live Band concert ticket discount using promo code PLAYGROUP18. Book online to save now! Receive a 20% discount on Speedo products when you purchase online or in Speedo flagship stores. Excludes electronics and triathlon products. Budget Direct Travel Insurance is offering all Playgroup NSW's members 10% off all Travel Insurance policies. To receive your 10% off, simply use the promo code PLAYNSWTRV. The discount is applied to the quote after using the promotional code at checkout. ASG enrolment discount when you sign up for one of ASG Little Big Saver Funds. Playgroup NSW members receive a 20% discount on entry at all Chipmunks NSW stores by showing a digital member’s card.